An open house is an opportunity to walk through a home that is for sale without being accompanied by a real estate agent. Open houses are for serious buyers, as well as those who are just beginning to entertain the thought of purchasing a home. And everyone in between. Real estate pros have been on both sides of open houses, hosting them to help sell properties for clients who are selling, and advising their clients through them when they are buyers. How do you make the most of open houses when you are buying a home? Here are some open house hacks from real estate pros. It takes stamina to visit homes for sale, because you need to process your impressions and the information available. You probably won't make it to every open house on a given afternoon, so you need to know what's out there, and filter them to make the most of your time. 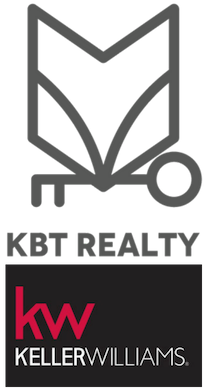 Watch for open house announcements on social media like the KBT Realty Facebook page or Instagram, on home listing sites, and on real estate brokerage websites. Make a list of the open houses you are interested in. Locate the homes on a map, and plan visits that make the best use of your time. Sunday afternoon is prime open house time, and you won’t be able to make it to all them; choose two or three that seem to be the best match for your budget and wish list. A tape measure, notepad + pen, and smartphone are essential. Take photos of rooms and features you want to remember; having a person in the photo is good for scale. If you have special pieces of furniture that you are envisioning in your next home, measure short walls and the distance between doors or from the floor to window sills. You will be able to get a floor plan with dimensions, but it will probably not have all the detail you want. Paint color, window treatments, showerheads… all these things can be changed. Remember that you are looking at the home’s “bones,” not the current owner’s décor. If you anticipate needing to change, update, or renovate, make a note, take a photo, and research the potential costs later. Go ahead and pay attention to what other home shoppers are saying about the property. You can learn a lot from what you overhear. Other buyers may have more experience with real estate transactions, know the area better than you do, or have expertise that you can benefit from. Sign in, chat with the listing agent, and take the information prepared for open house attendees. Comply with the “rules” of the open house: be prepared to remove your shoes, leave the kids at home, etc. Use open houses as an opportunity to get a feeling for the market, to explore neighborhoods, and start matching price points with home size, features, and location. Ask the agent questions about the property, the neighborhood, and details of the listing. If you are seriously house hunting, you should have a buyer’s agent to guide you through the home buying process, and that includes attending open houses. You can have your agent go with you, or you can debrief after you've visited an open house. Your agent can give you information on which open houses are most productive for you to visit, and let you know any insider details. The listing agent – the one hosting the open house – is working on behalf of the seller; you need an agent who works on behalf of you, as the buyer. If you don’t have an agent, open houses are also good opportunities to meet realtors; be sure to take contact information. Research the agent's credentials, affiliations, and reviews. Make contact later to talk about working together if you get “good vibes” from an agent you meet at an open house. When you are ready to move from browsing to searching, remember that your time is valuable. Working with an agent, and being methodical in your search, can make the entire process of finding your next home less about stress and more about excitement. Treat your home search like a job - and certainly the most important thing you have in your life at the moment.